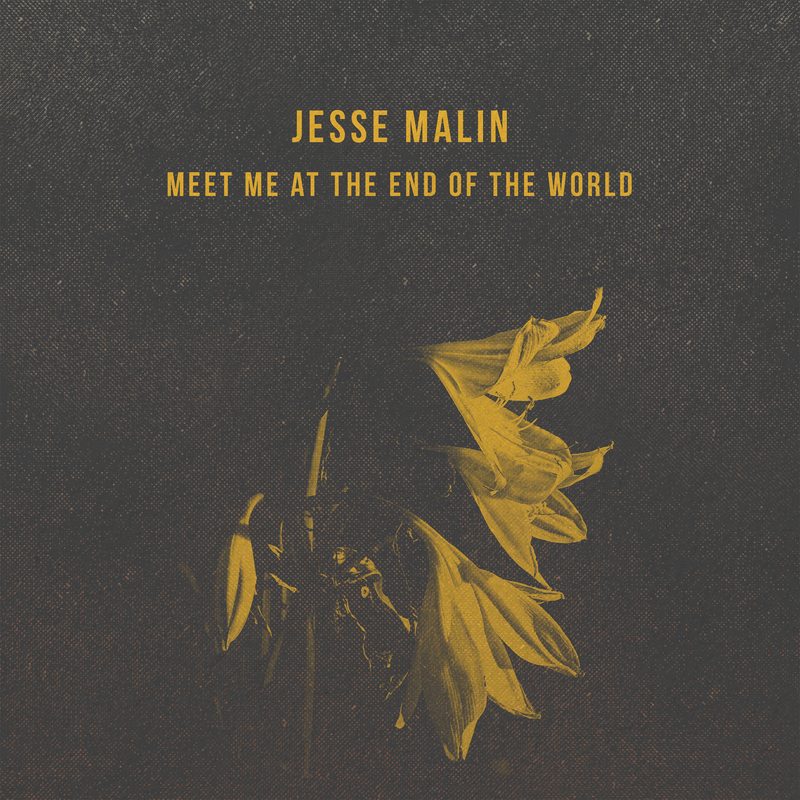 On his new EP, Meet Me At The End Of The World, Jesse Malin aims his singular blend of gritty street poetry and incisive self-reflection squarely at our troubled, modern times, drawing inspiration from the divisive political landscape and corporate media bombardment that define our daily lives. Produced by acclaimed songwriter Joseph Arthur, the three-song collection was recorded fast and raw with Malin's live band: drummer Randy Schrager (Scissor Sisters), bassist Catherine Popper (Norah Jones, Ryan Adams), and longtime sideman/producer/co-writer Derek Cruz. "It's been such an organic collaboration," reflects Arthur, “It's not unusual for Jesse to be writing great songs, but it feels like there's a new energy to it right now." "Meet Me At The End Of The World" opens with the hypnotic groove of the title track, which calls to mind Lou Reed fronting LCD Soundsystem before it gives way to a distorted, infectious T-Rex-esque hook. It's an ode to resistance and resilience, a call to optimism in the face of despair. Things get decidedly darker on the timely "Fox News Funk," though, as sinister electronic elements underpin Malin's blistering delivery when he sings of "weapons of distraction / to stoke the war machine." The collection closes out with an acoustic reimagining of Malin's previously released "Revelations," which seamlessly blends into a tender rendition of Big Star's "Thirteen." It's a bold move, but one that serves to underscore just how well Malin's songwriting holds up alongside the classics.